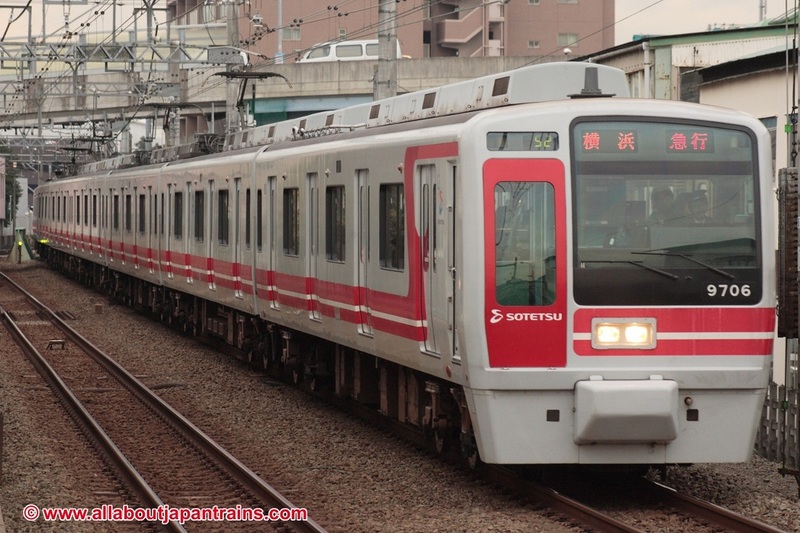 The 9000 Series is a four-door commuter-type electric mulitple unit designed by the Sagami Railway Corporation (Sotetesu) to replace older trains in the fleet. Sotetesu had already started building the 8000 Series for the same purpose begining in 1990 and the 9000 Series was built to supplement it. All cars were built by the Tokyu Car Corporation instead of Hitachi which had built all of Sotetesu's new cars. The 8000 and 9000 Series are very similar in design but are cosmetically different and also use different electronic equipment. Both use variable frequency drive with GTO elements. Most cars have lengthwise bench seating, but cars five and eight (Car one faces Yokohama and Car 10 faces Ebina) are both equipped with crosswise box seating as well. 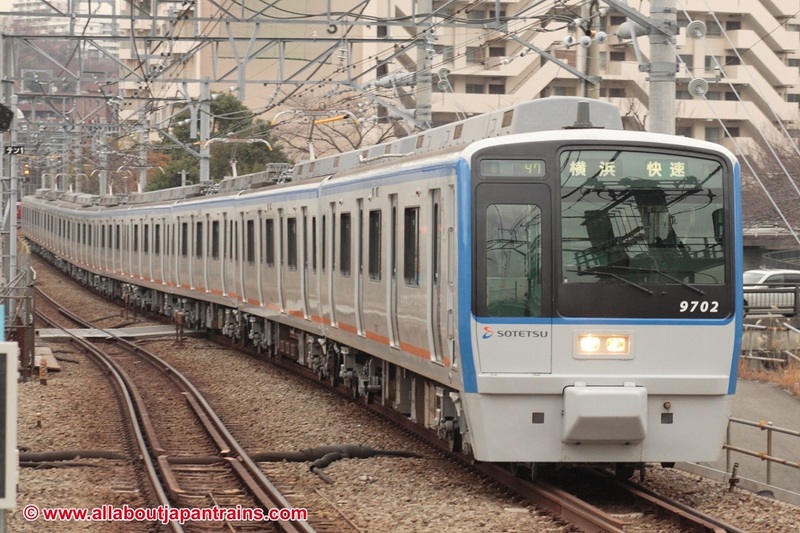 At the moment, the 9000 Series is the last train to be designed by Sotetesu itself. Later designs are heavily based on the E231 and E233 Series trains operated by JR East.